Today all of our phones and computers carry the initials of a 10th century Danish King, Harald “Bluetooth” Gormsson (so-called for his love of blueberries). The companies behind the design of the Bluetooth wireless communication device (Ericsson, Nokia, Intel, Toshiba, and IBM) decided to take the name of this ancient Danish King because of his legendary ability to communicate with various factions. Just as Harald was able to connect many of the Norse Kingdoms together, Bluetooth today connects computers, phones, PDAs and printers etc. The Bluetooth symbol is, itself, the combination of the runes for the letters H and B. The story behind Harald’s conversion are not entirely clear. One source, written during Harald Bluetooth’s lifetime, by Widukind of Corvey claims that Harald was converted by a cleric called Poppa and that to prove his faith in Christ Harald had to carry a “great weight” of hot iron without being burned. This story, ironically seems the most plausible (even more so if one excludes the miracle aspect). The other source was written by a man called Adam of Bremen nearly 100 years after Harald’s death. Adam writes that Harald was forcibly converted by the first Holy Roman Emperor Otto I after he was defeated in battle (he did suffer a major defeat to the Germans at the Battle of Danevirke, modern Schleswig-Holstein, in 974). Poppa also makes an appearance in Adam’s text but as a missionary to Eric, the King of Sweden, and in this version he is not responsible for the conversion of Harald. At first glance this might seem more reasonable until one takes into consideration that A) Adam is writing 100 years after the events; and B) At the time of writing the Archbishops of Hamburg-Bremen were locked in a dispute with Denmark over who had jurisdiction over the See of Denmark. 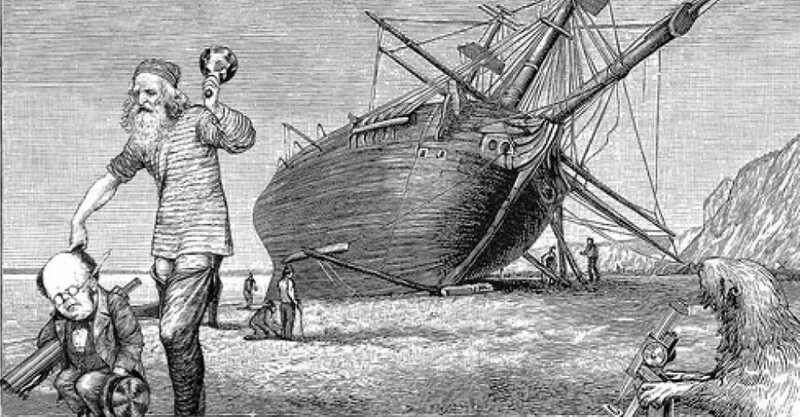 Adam of Bremen is, therefore, clearly writing this history with a political goal in mind and unambiguously ends the story with the sentance “At that time Denmark on this side of the sea, which is called Jutland by the inhabitants, was divided into three dioceses and subjected to the bishopric of Hamburg.” There is a third source, the Heimskringla, one of the Icelandic sagas that was written 400 years after the death of Harald which is mostly concerned with the history of the Yngling dynasty in Sweden. The Heimskringla recounts a story similar to (and possibly borrowed from) Adam of Bremen which claims that in defeat King Harald and Earl Haakon of Norway (who appears in Egill’s Saga) are forced, by Emperor Otto I, to convert to Christianity. However, we know that Harald eagerly embraced his new faith and attempted to proselytize it to the rest of his kingdom (with only limited success) he also reburied his father, Gorm, in a church near the dead King’s pagan burial mound. This does not seem all that characteristic of a forced convert although no one can ever really know. Despite his conversion story overshadowing the history of his reign Harald was, by all accounts, a great king. 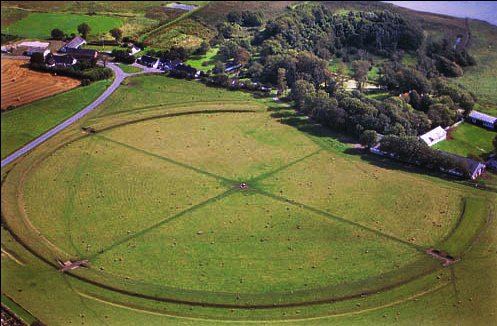 He constructed a series of circular ring forts all over Denmark, the most stunning example of which is the one at Aggersborg. As well as building fortifications Harald also constructed the oldest known bridge in Scandinavia, the Ravninge Bridge which crosses the Ravninge meadows, 5 meters wide and 760 meters long. Harald was able to keep his kingdom’s interior at peace and this allowed him to make war abroad. He was able to assist Richard the Fearless of Normandy his wars earning the vassaldom for William the Conqueror’s great grandfather. At the height of his power Harald controlled Denmark, Norway, Normandy, bits of southern Sweden, large parts of north eastern Germany and most of northern Poland. However, in 974, it all came crashing down as Harald found himself unable to defend his territory from the might of the newly formed Holy Roman Empire. Otto I crushed Harald’s army at the battle of Danevirke which resulted not just in the loss of Schleswig-Holstein but the loss of Norway as well which revolted against his rule in the absence of Harald’s military power. Despite the loss of this sizable chink of his empire Harald was able to drive the Germans out of Schleswig-Holstein thanks to a pro-Danish uprising there in 983. However, this last victory could not repair the damage that his previous defeat had done to his prestige. Less than a year after regaining Schleswig-Holstein, Harald’s son Sweyn Forkbeard rebelled in an attempt to usurp the throne. Whilst fighting in a battle to try and crush the rebellion Harald was felled in 986. Sweyn would go on to become King of Denmark and was the father of Cnut the Great, King of England and Denmark. Even after his death, Harald’s reign brought his descendants remarkable influence and he has since become a symbol of Scandinavian unity (even in Finland which he never even ruled). In addition to this, the decision by Nokia, Ericsson, Intel, Toshiba and IBM to name their collaborative project after him gives testament to his legacy. 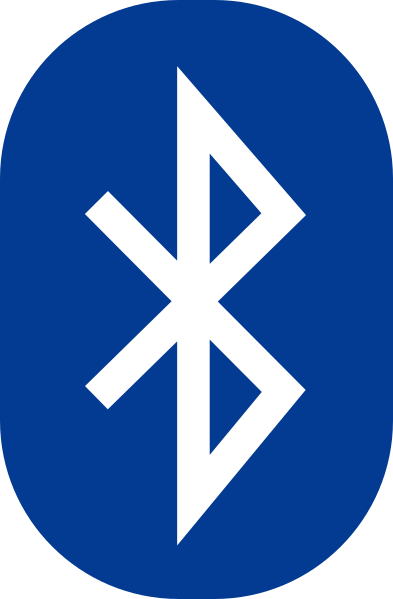 A legacy that we all carry around in our pockets every day, the runic initials of Harald Bluetooth, lover of blueberries, and a symbol of communication between diverse groups. King Harald Bluetooth. is one of my ancestors. And I am proud and honored to be his descendant.